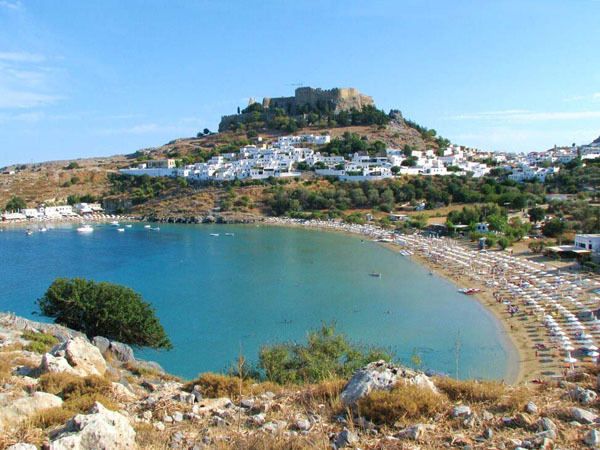 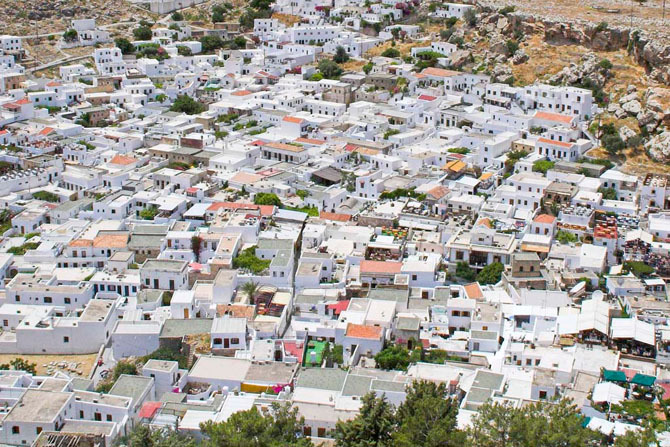 At the southeastern side of the island lies the settlement of Lindos. 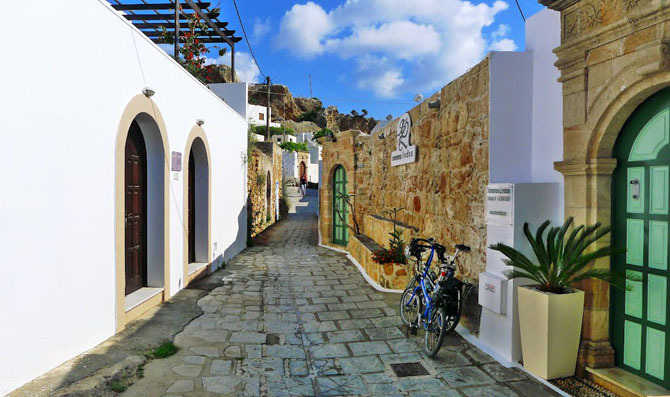 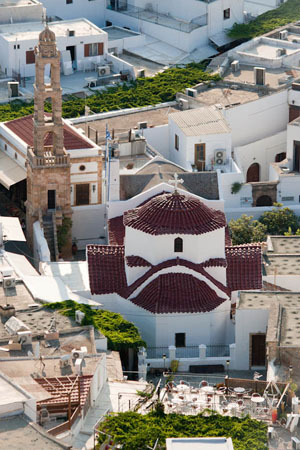 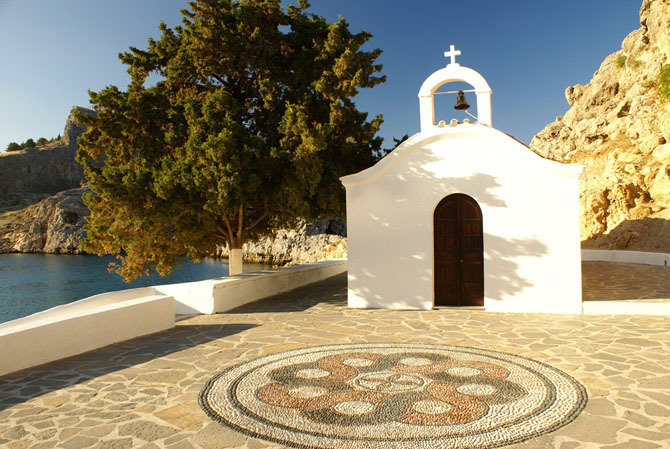 This picturesque, amphitheatrically built village is the center of attraction for the visitors of the island. 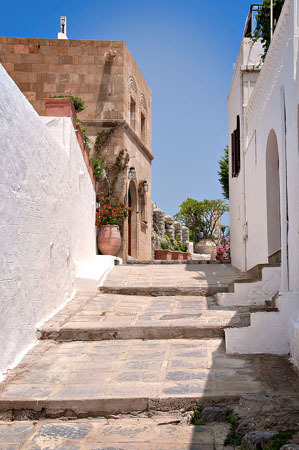 Although, it is picturesque, it also has bars, creperies and correlative stores with traditional products and souvenirs. 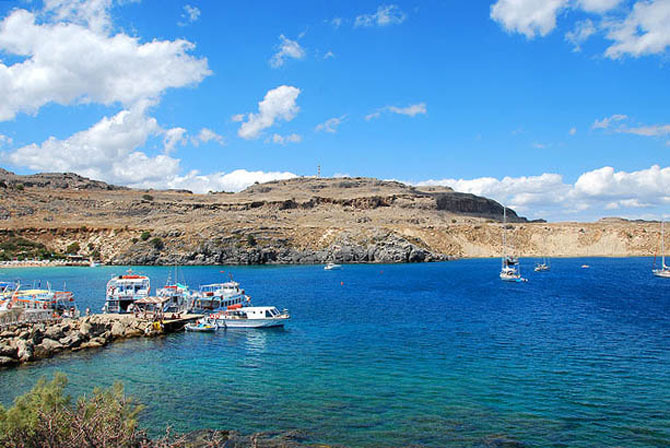 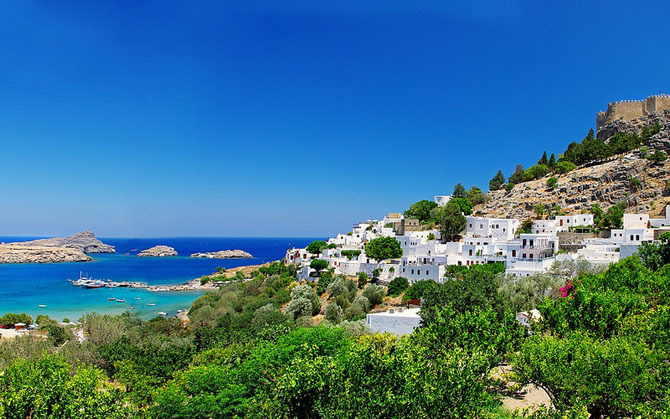 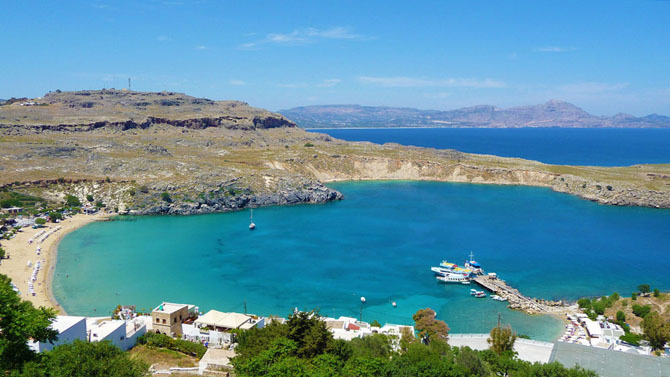 Wander around the alleys of the settlement with the small, traditional, white houses and enjoy your dive either in the convenient beach located just below Lindos or in other nearby beaches, such as the beach of the adjacent gulf of Agios Pavlos. 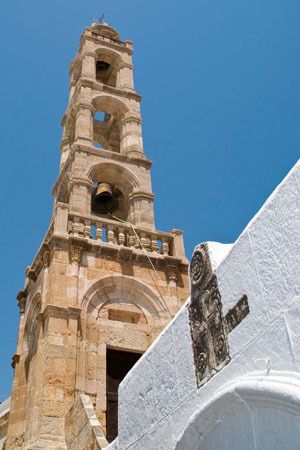 Some of the features of the settlement are the famous old mansions, Byzantine churches and of course the imposing castle on top of the hill. 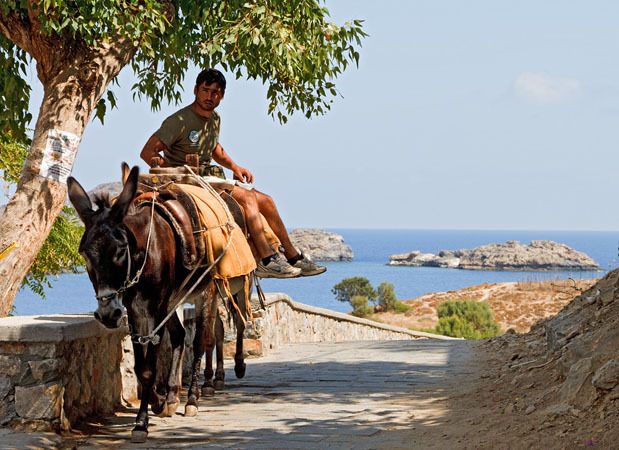 You can visit the castle either by hiking or by riding a donkey and you will have the opportunity once again to admire a magnificent panoramic view. 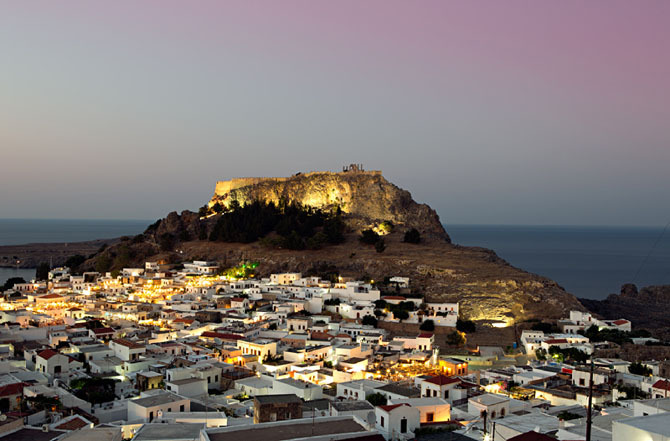 Rhodes, the island of knights!